Singapore:Fresh.Bold. At Fill Your Walls. 6th – 23rd May 2010. Fill your walls, an art gallery dedicated to the promotion of local emerging artists, presents an exhibition by female artists Arlyn de Jesus and Chris Lim (Kim) – Singapore: Fresh. Bold. – a celebration of the diversity and optimism inherent in Singapore’s urban culture. Emerging artists Arlyn (b. 1970, Philippines) and Kim (b. 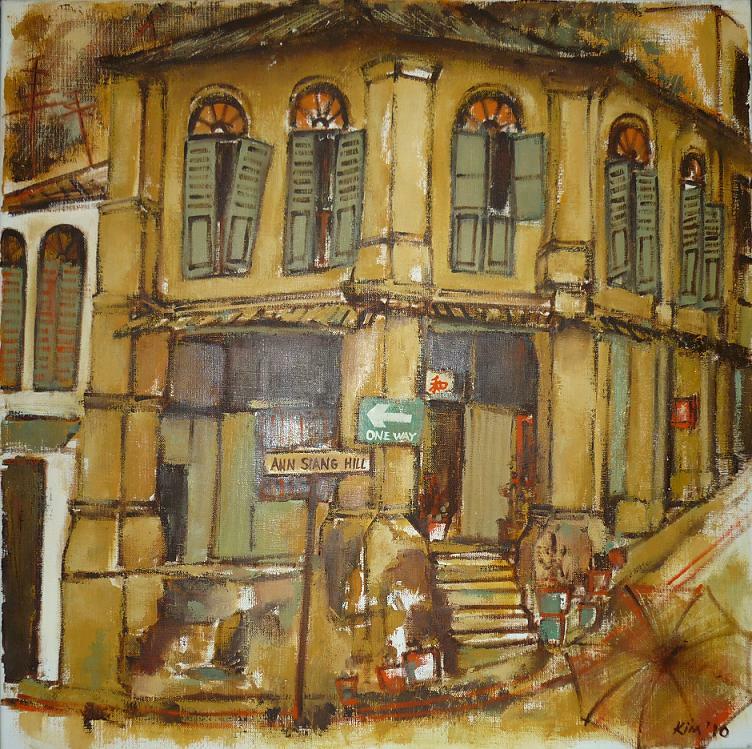 1952, Singapore) present their uncommon cityscapes in this joint exhibition. Their approach is a compelling convergence of two points of view – local and foreign, retrospective and forward-looking – resulting in creations that are unique, fresh and bold. Arlyn applies whimsy and deconstruction to depict a broad, conceptual view of Singapore. Her fanciful illustration of HDBs and urban landmarks present the city-state as you have never seen it before. Through her quirky, naïve style paintings she provides a unique perspective into Singapore and its people. Influenced by the Fauves, Kim uses vivid and exuberant colours to capture the quaintness behind day-to-day scenes. Through her renditions, shop houses and other buildings become colourful characters amidst a cast thousands. In contrast, Kim employs a subtler palette to capture fond memories of heritage architecture and streetscapes. This entry was posted in EXHIBITIONS and tagged Fill Your Walls. Bookmark the permalink.